The National Committee for Furtherance of Jewish Education / Operation Survival is a registered opioid overdose prevention program in New York State. 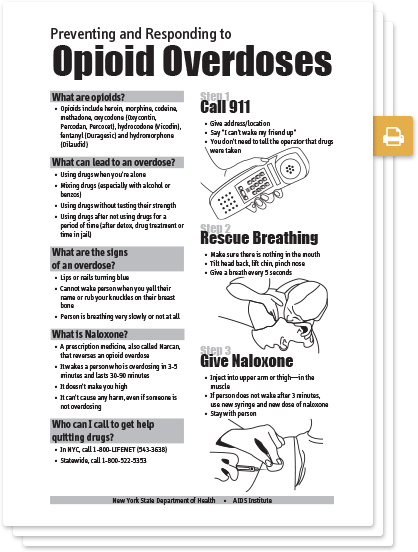 Our overdose prevention program features overdose response training and access to Naloxone. By the end of the training, individuals will be able to identify risk factors for overdose, recognize signs of an overdose, perform techniques to stimulate someone who appears to have overdosed, correctly perform rescue breathing, and correctly administer Naloxone.